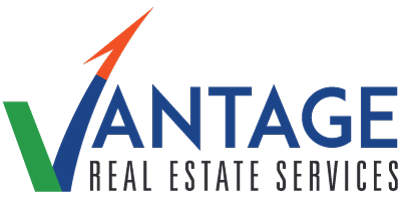 Vantage RES is pleased to announce the addition of Aran Ploshansky to the team. Ploshansky will assuredly be a tremendous asset to this rapidly growing commercial real estate firm. In his position on the team, Ploshansky will assist and collaborate with the company as they gain market share in the region and meet the growing demand for excellent commercial real estate services in Southern New Jersey and the surrounding area. Vantage RES is eager to add Ploshansky’s high-level communication, strategic problem-solving and client service skills to the team. Prior to joining Vantage RES, Ploshansky worked in consulting & business systems analysis for Fortune 500 companies. Before that, he was managing partner & co-founder of a web development startup. Through these experiences, he has gained priceless knowledge of how to provide exceptional service for and obtain excellent results from his clients and partners. Whether managing an international business team of freelancers, or working with commercial real estate clients, Ploshansky is constantly searching for ways to streamline and improve processes. In his new role with Vantage RES, Ploshansky is committed to the company’s mission of always obtaining the best possible outcomes for his clients. “I am excited to add Aran to our great team.” says Hemo. “Aran will further help us expand our corporate services and respond to the high demand for our services as we grow in the region. Aran’s out-of-the-box thinking, entrepreneurial spirit and dedication to his clients is highly aligned with our mission here at Vantage RES.” By building a team with diverse skills and various backgrounds in entrepreneurship, consulting, business, and more, Vantage RES has been able to guide, advise and partner with their growing client base which, ultimately, leads to achieving goals. The firm’s founder, Leor Hemo, was recently recognized by South Jersey Biz Magazine as one of the region’s top entrepreneurs.